After water damage occurs, it may seem like the end of the world, especially when it comes to cleaning expensive carpets. Whether from heavy spillage, grey water overflow or leaky plumbing, precious rugs and carpets act like giant sponges, absorbing all that moisture. When homes are flooded, not only are carpets and rugs affected, but also furniture upholstery and fabrics. In these cases, it is important to contact a professional water restoration company with years of experience in cleaning these delicate materials. High Quality Carpet Cleaning is committed to providing its customers with the best water restoration services in the Princeton Meadows area. Water saturated carpets and rugs take forever to dry out and by that time, it is often too late. Rugs and carpets subjected to water damage are a breeding ground for mold, bacteria and fungi. In cases of grey water spillage or flooding from rain, this process is sped up exponentially. The presence of water can also threaten flooring underneath the carpet and other support structures. The best decision is to contact the experts at High Quality Carpet Cleaning. Their professional staff of highly skilled professionals knows how to restore carpets, rugs, upholstery and fabrics after water damage, protecting these expensive items from irreparable loss. With the professionals of High Quality Carpet Cleaning on the scene, customers know that they are getting the best services in the industry. With commercial equipment and highly skilled technicians, carpets get the top quality restoration they deserve. High powered water extraction equipment and sterilization techniques ensure that bacteria and debris do not stand a chance, while carpets get a deep cleaning that restores and beautifies. Even water that seeps underneath the carpet layer, threatening the subflooring cannot escape the professional eye of experts with the best tools in the business. With High Quality Carpet Cleaning, clients discover that their important carpets and rugs are restored to their original condition. 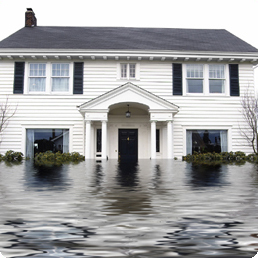 In water damage scenarios, there is always a worry about the possibility of bacteria and other harmful organisms. For a reputable company, this is not a problem as expensive fibers and fabrics are disinfected with the latest techniques. Not only that, but they are also injected with deodorizers that ensure a pleasant fragrance that makes them smell showroom new. When it comes to restoring carpets and rugs, there is no way to beat a professional company that knows its business. High Quality Carpet Cleaning is the premier choice for water restoration services in Princeton Meadows. With an unparalleled reputation and an uncompromising commitment to quality, customers across the region know where to go for the best services. No matter the situation, cleaning up after water damage is a daunting task that should not be done alone. By contacting a company that people trust, customers get technicians that understand the situation and are glad to answer questions. From rugs and carpets to upholstery and drapery, High Quality Carpet Cleaning is the best choice for water restoration services. For more information, visit High Quality Carpet Cleaning today!